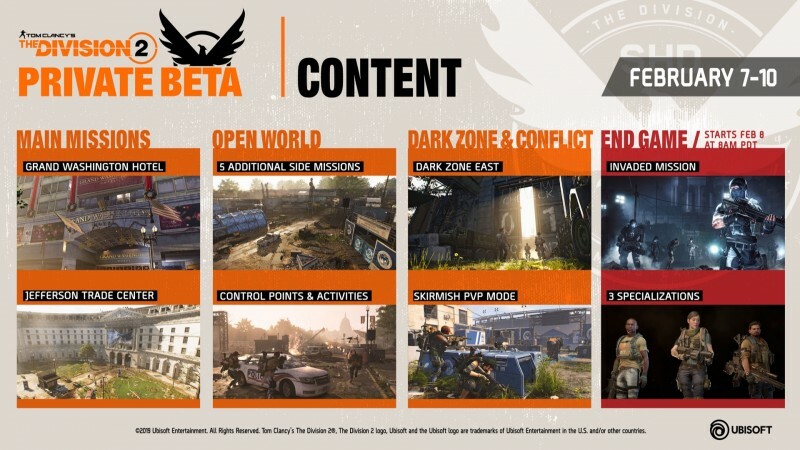 Ubisoft has outlined what players can expect when they walk into the decimated nation's capital for the first time in the The Division 2 Private Beta. 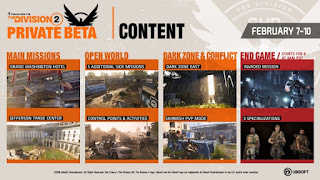 Players start off by establishing the base of operations, then venture into a couple of story missions, a handful of side activities, one dark zone to explore, plus the Skirmish 4v4 organized multiplayer mode. 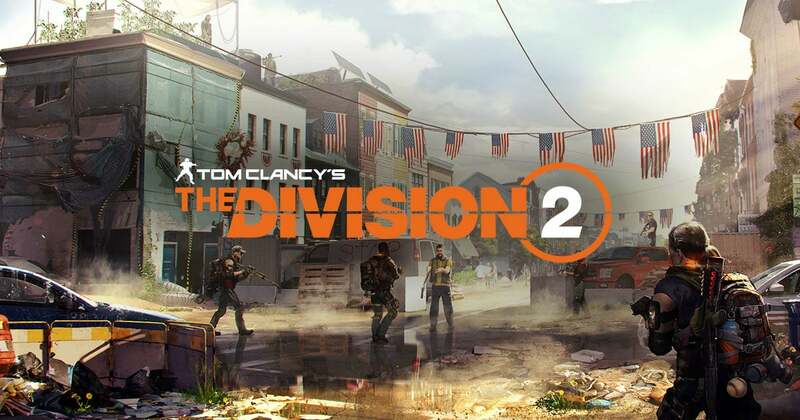 Developer Massive is giving players control of a level 30 agent to check out an Invaded mission and test out one of the three specializations. The demo is available for anyone who pre-orders the beta at participating retailers for PlayStation 4, Xbox One, or PC. 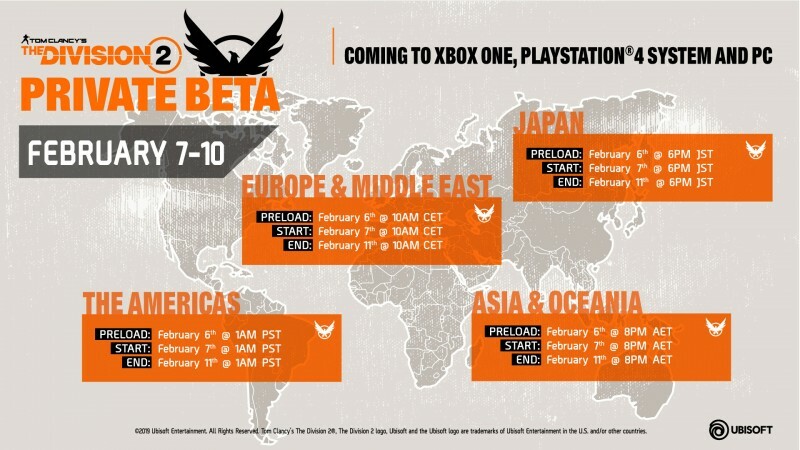 You can also register for a chance to get into the private beta here. 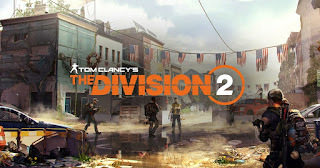 The Division 2 releases on March 15 for all three platforms.